“Dogman” is the movie that won the “Palm Dog Best Canine Cast” during the prestigious Cannes Film Festival in 2018. If that’s not a reason to run to the theater I don’t know what is. Maybe I do: the picture also gave Marcello Fonte the Best Actor award at the Palm Springs International Film Festival this year and the aforementioned Cannes Festival as well. If you’re still not convinced, consider whether you’d like the films made by Matteo Garrone. The director’s well-named “Gomorrah” a few years back deals with the Napolitano mafia, is full of violence (obviously), and has the additional scare for audiences when the title “Gomorrah” shows up on covering the entire screen. You’re still with me? You have no problem with extreme violence? And maybe you like dogs enough to watch canines of all sizes getting groomed? But you’re queasy when one chihuahua is tossed into a freezer praying to be rescued and defrosted, especially if his savior could be the Cannes Film Festival’s Best Actor? You’re set for an interesting time at the movies. The tale focuses primarily on Marcello (Marcello Fonte), a milquetoast, an easily bullied fellow, who makes a living grooming dogs in a godforsaken shop called Dogman in a sh*thole of a town outside Naples. He has a daughter of about nine years, Alida (Alida Baldari Calabria), who is the most mature character in the movie, regularly promised by her dad to take her on a trip to the Red Sea but settling for scuba-diving in a nearby watering hole. He wants to fulfill this dream and is lured into selling cocaine to make the needed money, and he is also more or less forced into more criminal activity by the town bully, ex-boxer Simone (Edoardo Pesce), a bruiser of a guy that some in the community would like to kill. This Simoncino is such a brute—I hesitate to use the term “animal” unless you compare him to the pit bull that opens the movie ready to tear into Marcello’s throat—that in one scene he virtually kills his mother, (Nunzia Schiano) with an outrageous bear hug. Still, she deserves the treatment for tossing her dear boy’s cocaine into the air (though Marcello is forced to sweep it up). When Simone insists that wimpy Marcello take part in robbing Marcello’s friend Franco (Adamo Dionisi) who runs a gold-buying service next door to Dogman, the stage is set for a disaster that will bring Marcello down and lead to an act of vengeance that has unintentional consequences. Nicolaj Brüel’s lenses capture the action in Caserta, Campania, Lazio and Rome, though the principal location probably had its last batch of tourists during the time of the Caesars. There is an indication that metaphoric use is made of the town since it’s almost inconceivable that anyone in the culture-rich nation of Italy would live there—and maybe (metaphor alert) nobody does. 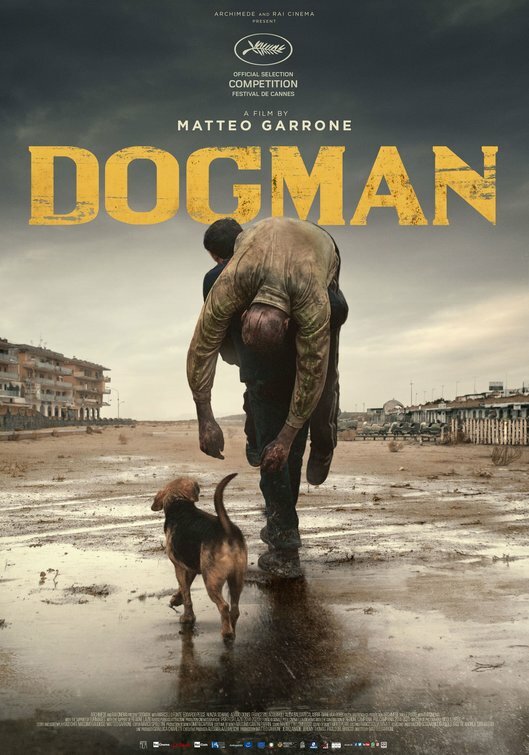 “Dogman” was Italy’s Oscar candidate for movies opening in 2018, though the rich assortment of imports made it impossible for the pic to get a nomination. Subtitles are clear, as the only words of English are spoken to a dog as in “sit” and “stay,” though those are about the last words you’d use in the presence of Simone. If you’ve given up sugar because you think it’s white poison, what can you use as a calorie-free substitute? Try a movie with a theme of revenge. It’s sweet, so they say, and the public must love the theme or why else would there be umpteen pictures about it? Yet happily, “Cold Pursuit” is not just one of those umpteen pictures about revenge. This is no horror tale written and acted for the benefit of teens and sadistic high-school kids who want nothing more than for heads to roll. Of course heads do roll in “Cold Pursuit,” or how could you otherwise call it a revenge picture? But using Frank Baldwin and Kim Fupz Aakeson’s screenplay, director Han Petter Moland is able to weave in quite a bit of wry humor, self-deprecating manifestoes, and down-home looks at what two of the good guys (they’re police) talk about when they don’t talk about crime. Hans Petter Moland is known for “In Order of Disappearance,” taking place in the snowy peaks of the director’s Norway, involving igniting a war between a vegan gangster and a Serbian mafia boss. The mere mention of “vegan gangster” in his 2014 black comedy clues you in on a director who would not be content with running a cast through the motions of a genre gangster movie, and in fact “Cold Pursuit” highlights a regional drug lord who is a loving father to a 10-year-old boy who micromanages the kid’s diet. (Never mind that somehow the boy downs a bowl of Fruit Loops.) “Cold Pursuit,” following the themes of Moland’s previous movie, pits a regional drug lord in Denver and surroundings who becomes involved in a turf war with an indigenous gang and who, by killing the innocent son of a man whose job is to keep the roads clear in a Kehoe Colorado ski town, in tracked down by the lad’s father out for blood as well. Dramatic action begins when the son of snowplow driver Nels Coxman (Liam Neesen) and his wife Grace (Laura Dern) is kidnapped on the orders of Viking (Tom Bateman), injected with heroin, and dumped in the snow to lead authorities to believe he overdosed. Knowing that his boy was never a druggie, Nelson “Nels” Coxman (Liam Neesen) is determined to find the killer or killers, setting out in Kehoe, Colorado, to bring justice in a place where you could not expect much from the two town cops Gip (John Doman) and his partner (Emma Rossum). Gip in an early scene dissuades his partner, aggressive about upholding the strict word of law, to ignore a group of kids smoking weed. “I know it’s legal to buy and smoke, but only in your own house,” she demurs. As Nels proceeds to pick up the gang members one by one, including the owner of a bridal gown establishment who, upon seeing Nels suspects the man’s motives and reaches for his gun, the various groups chit chat, building a character study to what could have been a juvenile horror tale. Officer Gip encourages his partner to get back together with her boyfriend leading her flirtatiously to converse with the ex on the phone promising a good time if he would give me information on the perps. Viking for his part must negotiate custody for their ten-year-old son Ryan with his estranged wife, who appears to be the only person not worried about the consequences of dealing with a serial killer. The whole ensemble rises to the occasion with particular credit to White Bull (Tom Jackson), who is as determined to get rid of the white gang in a turf war as is Nels. This is a first-rate thriller designed to bring in the crowd that would never bother with simple revenge movies and features terrific scenery captured by Philip Øgard in the town of Kananaskis Alberta, and Fernie, Victoria and Vancouver in British Columbia standing in for the Colorado ski resort. The outstanding performance from Liam Neeson should surprise no-one, yet who would have suspected that a 66-year-old actor could play through a great role as the angel of vengeance, taking down some gangsters with his bare fists? You might be a fan of Quentin Tarantino’s mindset and of the Jack Wick pictures but that does not guarantee affection got “Hotel Artemis. Though there are three fine performances here—those of Jodie Foster, Sterling K. Brown and Sofia Boutella—the movie is lacking in a solid story and depends on episodic incidents, some violent, also considerable copy-cat fighting particularly involving a woman who speaks French but can take care of herself even when attacked by four male thugs. This is Foster’s first film since “Elysium” in 2013– yet another dystopian feature but with a more interesting story about how the rich live on a man-made space station while the rest of us must bide our time on an earth ruined by climate change and other man-made disasters. While “Elysium” is set in 2174, “Hotel Artemis” moves on only until 2028. The good news is that the earth has survived. The bad news is: why bother? Los Angeles is in a state of anarchy, each day like the 24-hour period that motivates “The Purge.” While criminals are at risk, there is just one safe house that virtually guarantees protection. The Hotel Artemis, a well-known old structure that freely advertises its location is secretly available only to members. And to be a member you must be a dangerous criminal, a fact not likely mentioned by Trivago. The structure is run by “Nurse,” who has available some of the most modern robotic surgery equipment with corresponding computer screeners from the floor to the ceiling. When criminals begin checking in by showing their membership cards, she opens the gate, a woman whose use of a rotary dial telephone and hi fi turntable seems an anomaly when set against her high tech equipment. When she admits hotel owner “Niagara” (Jeff Goldblum) violence is triggered inside the safe house involving rival gangs. Guests include “Waikiki” (Sterling K. Brown), “Nice” (Sofia Boutella), “Honolulu” (Brian Tyree Henry) and others, including a policewoman, Morgan (Jenny Slate) whom she admits for reasons of her own despite the cop’s non-membership. With the marmoreal “Everest” (Dave Bautista) running security, “Nurse” insists that the rules are paramount, that nobody is above the law. When the rules are broken, havoc reigns within as well as without. The usual gunplay, knifings, strangulations, death by hard objects and even elevator shafts keeping the energy flowing, the episodic nature of the short movie (actually a mere 85 minutes without the end-credits) has no way of being redeemed by the dystopian ambiance filmed well by Chung Hoon-Chung behind the lens or by the eight-person make-up team which gave Jodie Foster an eerie look of a woman a decade or more her age. August 2017 might be called the Black Lives Matter in the Movies month. Four films about neighborhood protests in Crown Heights, Brooklyn (“Crown Heights”), Ferguson, Missouri (“Whose Streets?”), Detroit, Michigan (“Detroit”) and Bushwick, Brooklyn (“Bushwick”) make the scene. Cary Murnion and Jonathan Milott, who directed “Bushwick,” are known for “Cooties” (a virus turns elementary school kids into savages) bearing the cute tagline “You are what they eat.” You can hardly expect these gentlemen, then, to contribute a staid documentary with talking heads, and they do not. This time, though, Bushwick is not a serious look at race relations even though the Brooklyn neighborhood has a large African-American population. 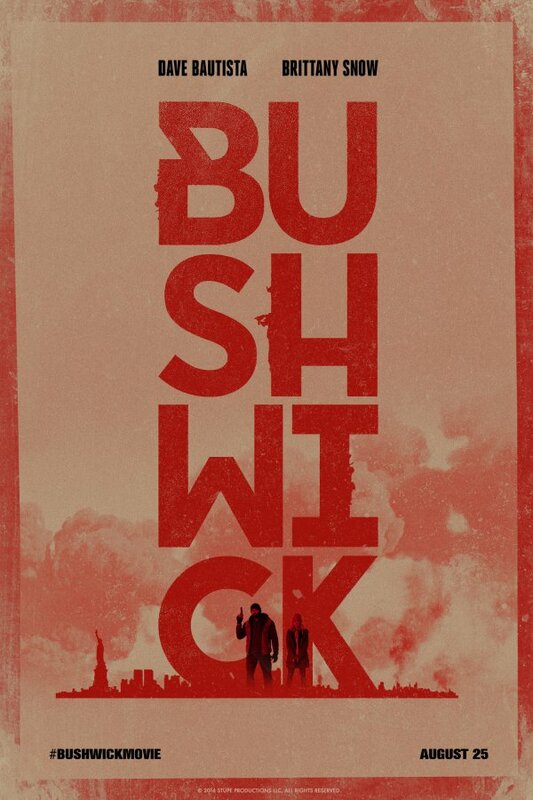 Bushwick is chosen because in the context of the film, the bad guys think that a multi-ethnic neighborhood would offer little resistance to a takeover. While some reviewers might praise the film as a solid B-movie, the silly dialogue and mindless shooting scenes are not conducive to viewer patience, even among the target audience of young males of all races. To its credit, however, the production team capitalizes on what the media have been saying for months, maybe years. That is the idea, given the polarization of the country into red states and blue states, and given the way that congress is badly split with only a semblance of bi-partisanship, that we are on the brink of a second civil war. Nick Damici and Graham Reznick, who wrote the script, are on the side of those who want to keep America united, and opposed to the militia sent by Kentucky, North Carolina, South Carolina and a few other southern states who want to use Bushwick as a zone of operations. Remember, also, that former Texas governor Rick Perry suggested that after the election of Obama, his state could consider seceding; a statement that put him right up there with Donald Trump for idiocy. The plot, with dialogue that appears so dumb that it might have been improvised given the regular use of the f-work, and repeated exclamations of omigod, is almost painful to sit through. The story finds Lucy (Brittany Snow), a graduate student in civil engineering, heading to her grandma’s house with her boyfriend—who gets killed upon exiting the Church Avenue subway station. Lucy is on her own until she runs into ex-Marine Stupe (David Bautista) and, both armed, they proceed block by block to an evacuation center, dodging bullets, occasionally giving some help to downed neighbors. When one of the soldiers (Alex Breaux) is captured, he confesses that he is just following orders: that the southern states want to force Congress to ratify a secession. Among the losers they find on the way is Lucy’s pothead sister Belinda (Angelic Zambrana), who minutes after shouting “Who is that guy?” upon seeing Stupe is attempting to seduce him. The film concludes open-ended. We have to wait for a potential sequel to see whether the southern states secede. I can wait.